Review Essay: Siberian Exile in Fourth Genre | Writing. Life. 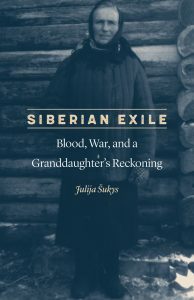 This entry was posted in Autobiography, Canada, Creative Nonfiction, Eastern Europe, Essays, Exile, Family, Interviews, Ona Šimaitė, Ona Šukienė, Publicity, Reviews, Siberia, Uncategorized, Writing by Julija Šukys. Bookmark the permalink.